The Kutcha Edwards Hour is an invitation to be immersed in the lifelong experiences of a Stolen Generations member through songs and stories. Kutcha's path has taken him from a child institutionalised to winning the Melbourne Prize for Music. Kutcha is a story teller and, using these skills, he delivers a concert that proves to be both riveting and enriching. Removed from his family and culture, he has recaptured his Songline and spends his life casting 'pebbles in to the pond', creating wave upon wave of cultural awareness through his music and performance charisma. Writing music and singing have been Kutcha's lifeline as well as a continuation of his Songline. Throughout the hour with Kutcha the audience will hear firsthand how it was growing up as an Aboriginal in a land that did not recognise his people as citizens of their own country. Kutcha’s songs are incredibly moving and personal, including a song written about the time he turned 18 and was freed from State care, despite having returned to his Mother at the age of 14 after removal at 18 months. Kutcha sings of the impact of Government policies of removal and assimilation on his people and the ramifications that have pervaded the wellbeing of Aboriginal people since. Humour also plays a strong role alongside his songs, playfully engaging his audience throughout the hour. Kutcha presents an inclusive and inviting conversation with the audience, while also provoking emotive responses to his personal story, that of his family and his community. Each show concludes with the singing of what is virtually an anthem, the beautiful song Yil Lul by Jo Geia. The audience is invited to sing together and are left feeling they've had a positive experience, and their cultural awareness heightened. 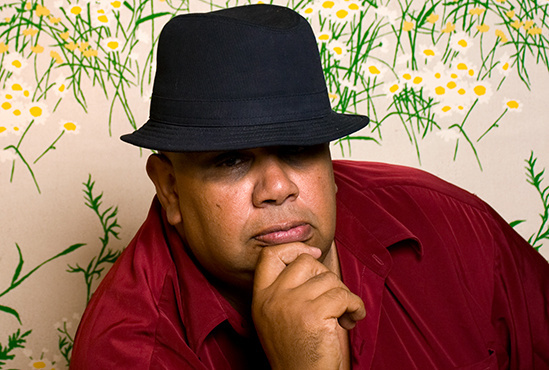 Renowned Aboriginal singer/songwriter and proud Mutti Mutti man, Kutcha Edwards, performs music that fuses his beautiful voice with soulful arrangements and an original approach to the blues.